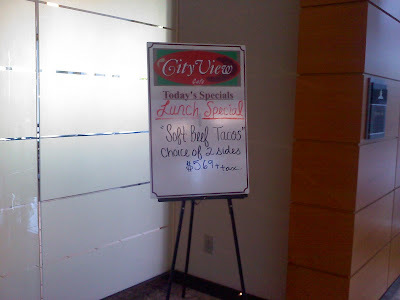 The “Blog” of “Unnecessary” Quotation Marks: "soft tacos"
Mmmmm fake food. Sheila also notes that her boss wasn't sure if she should eat these. Soggy food items containing 85/15 ground beef, Taco Bell seasoning, and clearance rack, low-carb wraps. They started out soft, but they've gotten stale. And I'm not sure the beef counts as beef anymore, or that you can eat them like tacos anymore. You left me back at "soft beef." Insert your own inappropriately vulgar joke here.